In 2014 will come the new USB 3.1 standard, which will allow data transfer at a speed of 10 Gbps. In addition a new connector (Type-C) will be launched, offering the possibility to plug our devices in both directions. We’ve all been. Want to connect a hard drive or flash drive to your computer and spend a few seconds trying until you realize that you are entering the reverse. 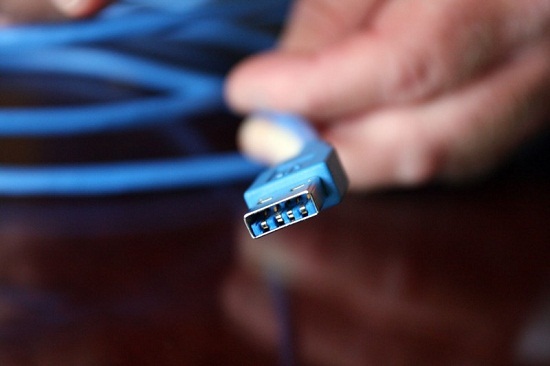 The new standard USB 3.1 is expected to hit the market next year, but in addition to speed, would include a new reversible connector and can connect in both positions. As the MagSafe connector or Lightning The first thing that came to mind is the connector MagSafe presented by Apple laptops , which allows us to stop worrying about possible falls to unexpected jerks and the position in which we connect. Something that was repeated with Lightning and the iPhone 5, this feature being very useful when you’re in low light and you must connect a “blind”. It is anticipated USB 3.1 standard and Type-C connector coming to market to the mid / late 2014 . Being a completely new connector, manufacturers would have to adapt its products to this standard, which will cause some end up being “useless”. Anyway, was becoming a necessity USB renewal as we know it, where speed is obviously important. USB 3.1 will allow to transfer data at a speed of 10 Gbps , which amply appreciate. This added to the new connector will help us to save much more time transferring data and looking for the right position.